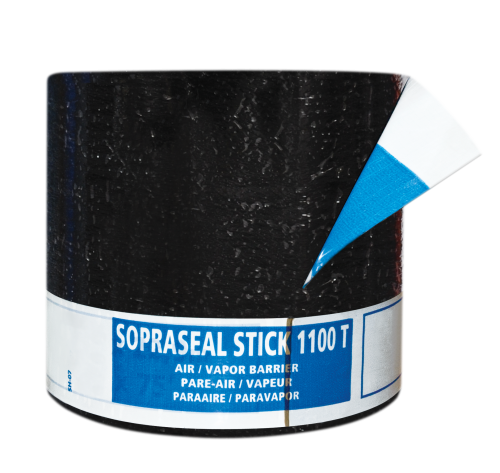 Self-adhesive air/vapour barrier membrane composed of SBS modified bitumen and a tri-laminated woven polyethylene facer used on walls. 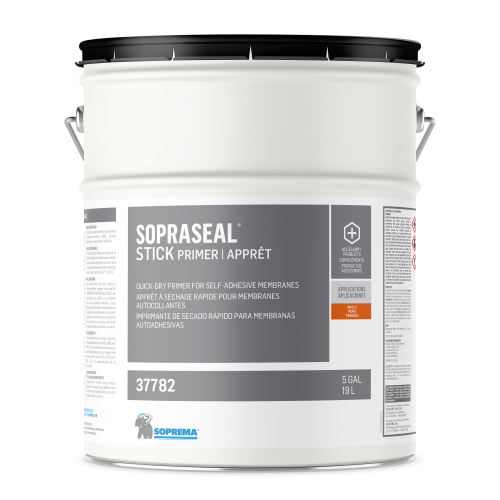 The tri-laminated woven polyethylene is compatible for the use of sprayed polyurethane foam insulation. The underface is covered with a silicone release paper or film. It can also be used as masonry and through-wall flashing membrane as well as waterproofing membrane at openings and transitions.